Opting for a destination wedding has become a new trend & for all the right reasons! But it becomes really hectic to choose a destination that fulfils all your requirements on your special day. Couples in India have been exploring fresh offbeat venues to host their destination wedding. If you see it this way, every destination is a wedding destination, helping the burban couples host intimate, budget events away from their busy home cities. 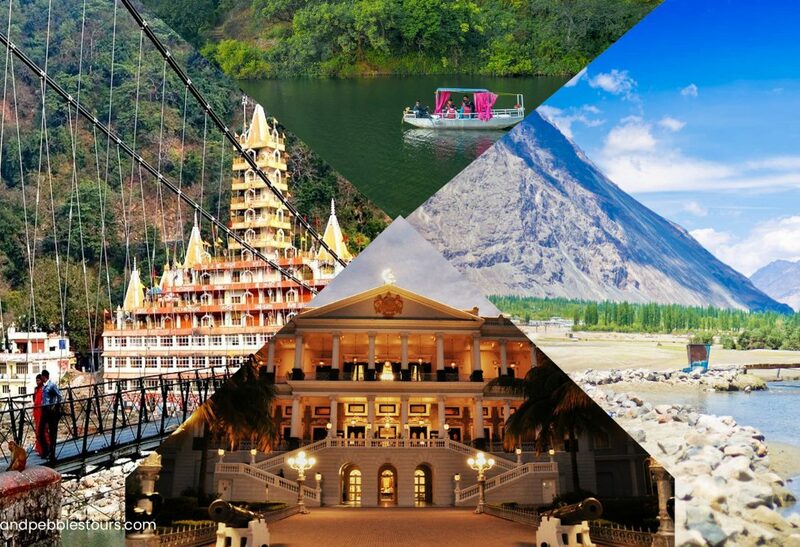 Here, we’re giving you some of the Breathtaking Destination Wedding Venues In India you can choose from. So, if you haven’t settled for a location yet, dig in for some much-needed insight into some of these Breathtaking destination wedding venues. Look closely & see which one will suit you the best! Known as the “Pearl City” Hyderabad boasts of historical monuments, lakes, palaces & a paradise for food lovers! Tie the knot at Taj Falaknuma Palace, surrounded by the rich culture of Nizams in the city of pearls. Set majestically on the hills of about two-thousand-foot high, you are sure to reminisce about the Nizam’s era. We bet you never would have thought of this place as a destination wedding material, but just take some time out to admire the breathtaking hidden gem in Uttarakhand, with views of both lakes & hills! The Lake Resort in Naukuchiatal (Nainital) is a tried and tested cool wedding venue that comes highly recommended by multiple brides. You can have your mandap ceremony overlooking the lake or host a wedding event in the middle of a forest-like area. What better place to start your new journey on the banks of Ganges? This sacred town’s picturesque locale and idyllic setting will win your hearts at once and make your wedlock one memorable affair. Rishikesh can be an amazing option to marry due to rising trends of destination weddings in India. You can choose from a variety of hotels that take up everything from decorations to the riverside tents with all you left to do is indulge in the moment! If you want a “swiss romance” styled wedding in India, you should definitely give Nubra Valley a shot! Chilly mountains & cold air shifting through your hair will make you fall in love with this offbeat wedding location. Hidden from mainstream travellers, this place will provide you with peace & tranquillity, for a perfect wedding backdrop! Madhya Pradesh is not the first state that comes to mind while thinking of “Destination Wedding” But the heritage site of Khajuraho is getting attention for its stunning backdrop & impressive heritage. The city of Khajuraho has found a spot on the Indian Destination Wedding map thanks to its many regal hotels & historically significant monuments. The beauty with which the old and the new amalgamate in Khajuraho is, quite frankly, unparalleled. It’s a good alternative for anyone wanting a royal wedding in a location that’s not Rajasthan. How could we not add Kerala in the list? With a spectacular view of lush green surroundings & enchanting backwaters, Kumarakom qualifies to be one of the best destinations for weddings in India. The best thing about this place is that it is far away from the noisy streets. So, if you are planning for an intimate and cozy wedding, book your resort in Kumarakom now. Jaipur, Udaipur & Jodhpur are already being used & overused. Want something different but still want the royalness in your wedding? If you don’t want to go the mainstream way, pick Khimsar as your destination wedding location. Set amidst the lustrous Rajasthani desert sand dunes, Khimsar is yet another lesser known wedding destination in India.